Peony-flowered dahlia (Dahlia à fleurs de pivoine): growing, planting, caring. A dahlia with flowers like peonies. Peony Dahlias are open centered flowers with two or more rows of large petals surrounding a disc. 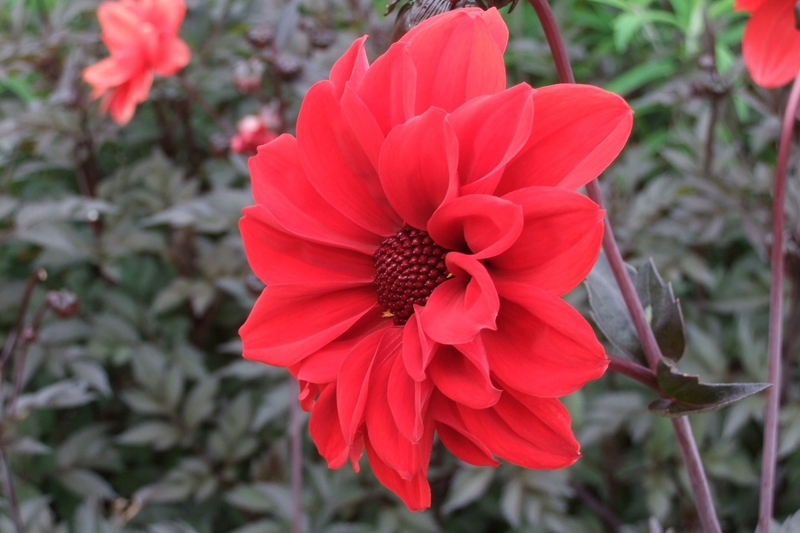 Many cultivars are on the market, one of the most popular being D. ‘Bishop Llandaff’, an heirloom variety with open deep-red flowers with nearly black, mahogany foliage.